I had an great reaction to my post about my name with lots of comments and people posting their name stories on their own blogs which made for interesting reading. Something I did pick up on was that many people seemed to think that the habit of changing names was an exclusively “Anglo” thing. I don’t agree. This happens across all cultures. People have a predilection to adapt names, traditions, behaviours to fit within their own comfort zones. 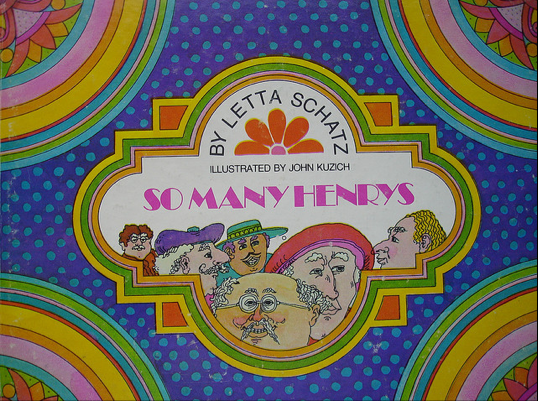 There is a wonderful book called “So Many Henrys” by Letta Schatz with trippy seventies illustrations by John Kuzich. In this book Henry Emory Demery discovers that he is not the only person with the name Henry. From realising that he shares the same name with his grandfather, Henry then travels the world to discover all the many variations to his name. I loved reading this book to my sons as we would replace Henry’s name with either Peter or Paul and we would continue the journey discovering the many variants of their names and to this day I will call out to them choosing the country of the day from Boutros to Ferris and Pablo to Pol. John is such a great and flexible name yet it seems to be out of fashion with the current generation. Whether that is because all their father’s are already called John and we will have a new wave in the next generation remains to be seen. 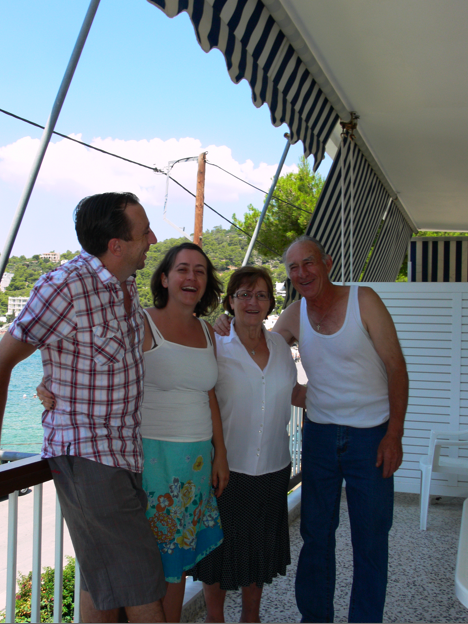 When my John met my mum she told him that his name in Greek is “Yianni”. My mum calls him both John and Yianni, which my husband tells me he loves. I don’t think that changing names to fit within a cultural norm is the domain, nor an act of oppression deliberately brought on by Anglos. Every culture does it. The change can be a comfort, a diminutive of sorts. How we feel about having our name changed is unique to all of us. Some of us balk at it and others love it and in no way can it be predicted by our cultural background. Thanks to Sandra Antonelli for her assistance with this post. She too has her own John. You did NOT include a clip from Yanni… Oh, wait. Yes. You did. I can’t believe that there is another Vassiliki/John combo and that they’re family. Maybe there are enough John/Vass combos on this earth for an annual reunion.The Yanni clip was fab! It’s a common combo in Greece. And I knew you would appreciate the Yanni moves.